Today I wanted to share with you how we tackled math problem solving last year. When looking at data and setting school and divisional goals for our students last fall we all agreed that students continue to have difficulty attacking and solving word problems. They often do not understand the question, are hesitant to begin or choose a strategy and then do not explain their answer fully. I think these might be problems that a lot of people face. We also noted that the problem seemed to get bigger as students moved through the grades - the problems become more complex, more independence is expected and more explaining your thinking was demanded! 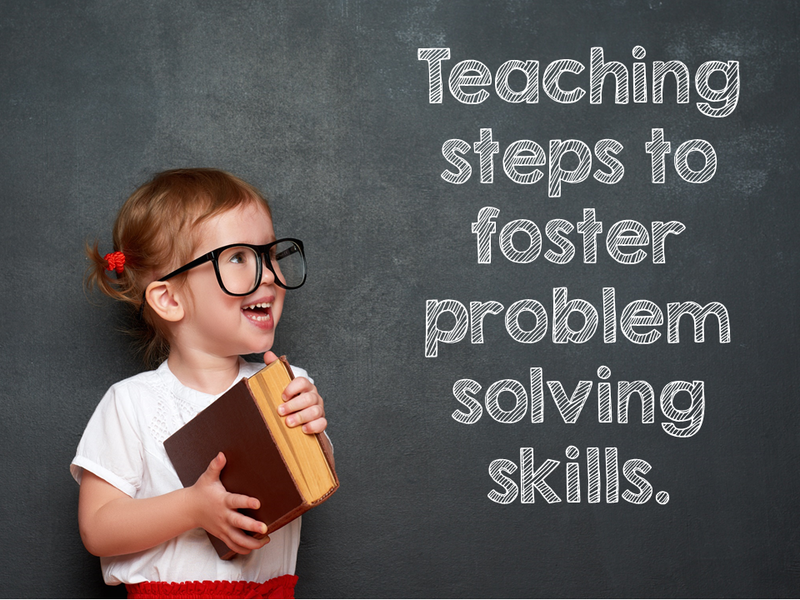 As a primary division we decided that we needed to help build skills that could be applied to any problem to help our students become more confident and independent problem solvers. We wanted to use common language and common steps so that the students became comfortable with the process and expectations. This acronym helped shape and guide our instruction around problem solving and provides a great reference tools during lessons and while students are working. This is when I talk to the students about how amazing problem solving is!!! How it lights our brains up with activity, it is like someone lit a FUSE in our brains. 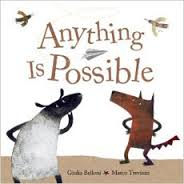 We are thinking about the problem, possible strategies, possible tools, who could we work with on the problem. Also when we try solving problems we make mistakes - which is AWESOME - since making a mistake makes your brain twice as smart!! That's right first your brain has to realize that a mistake was made then it has to work to figure out how to fix the mistake - BOOM - you just learned twice as much. I use the poster as a starting off point for our bulletin board. 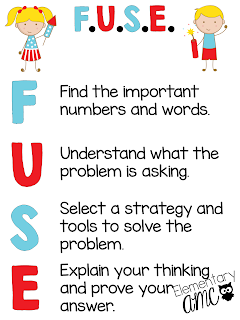 Next I introduce the F.U.S.E acronym. After that we take it one letter at a time. I break each letter down into smaller steps and we work on the skill as a class, in small groups, with a partner and finally independently. From the main poster we add the steps, we work on sample problems together and I add a reminder to the board. It took about 6 weeks to teach all of the steps. We usually dedicated one or two math classes a week to problem solving lessons. What I like about using an acronym is that students had a quick reference tools about what they needed to be doing and prompts on how to do it. It also helped us set success criteria and make checklists at the end of a lesson. Another thing I like about this system is it allowed us to focus on different skills - we did not always go through all of the steps - sometimes we just focused on understanding the problem and retelling it in our own words. Other times we focussed on selecting strategies, sharing our strategies and discussing which strategies were effective and efficient. We spent A LOT of time on explaining our thinking and proving our answers. In Grade 1 most of this learning was done through conferences, partner work and group sharing. Here we have gone through the first two steps and part of the third step together as a class. I projected the problem. We did the F part together - after reading the problem we highlighted important numbers and words. Then students told me what they knew about the problem for the letter U - I recorded their ideas around the problem - what we knew and what we needed to figure out. I gave them time to think of a math tool they could use to show their thinking and a starting off point. They shared their idea with a partner and then I took ideas for our letter S. As we work through a letter I put the letter up so we identify the work we are doing with the acronym. I also post a picture of the tools students say may be helpful. After this students went to work on the problem, independently or with a partner. We gathered together to share our answers, explain our thinking and work to prove our answers are correct. You can check out the materials I used in this pack on TPT. 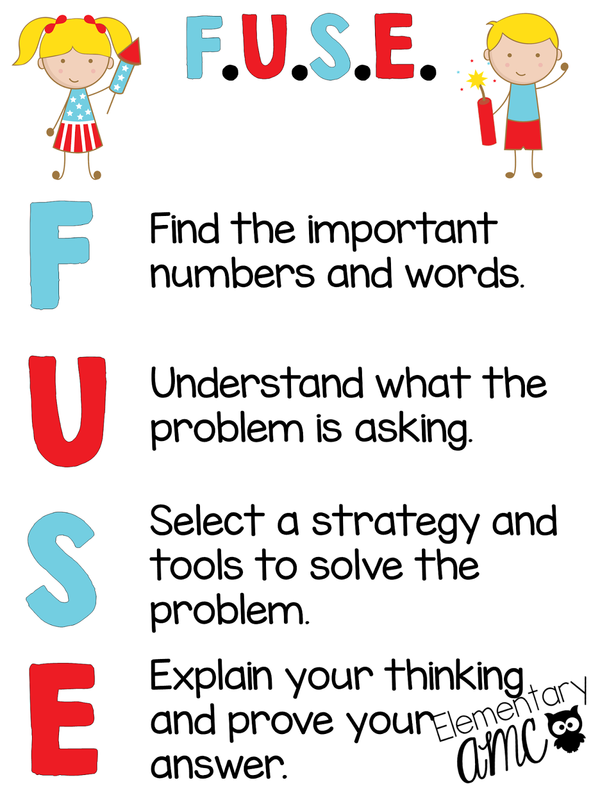 It includes a PDF file of the FUSE poster, a b&w version of the poster, large letters and explanations of the step as an alternative to the poster, all the materials needed to create a bulletin board reference tool, sample problems to use with your class, an interactive note for students, a student checklist and more. I hope that these ideas may be helpful in your classroom as way to help your students gain confidence in their ability to work through problems.